Try our fresh made sushi rolls, and Japanese style hot meals. 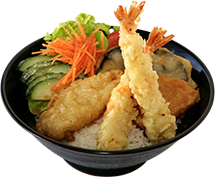 Our great range is locally grown and freshly imported from Japan, be stunned at the range of our famous varieties. Serving our customers a unique experience through our fresh made sushi packs and tasty Japanese hot meals. With over 10 locations around WA there is always a Sushi Master near you to enjoy our great fresh made sushi and affordable tasty Japanese meals.